Bishop Irinej Bulović: The Original and Modern Meaning of Autocephaly With Emphasis on Autocephaly Obtained by Saint Sava in 1219. Bishop Atanasije Jevtić: Relations Between the Patriarchate of Constantinople and the Serbian Patriarchate of Peć through history. Radomir Popović: Аutocephaly of Serbian Orthodox Church (SOC) in 1219 in the Light of the Unity and Catholicity of the Church. Aleksandr Zadornov: Testimonies in Hagiographies of Saint Sava About the Character of the Independent Status of Church Organization in the Serbian State of the XIII Century (Historical-Canonical Analysis). Zoran Devrnja: Canonical and Historical Context of the Emergence of the Autocephalous Žiča Archbishopric. Archimandrite Avgustin Nikitin: Chilandar and Russia: a Review of Ecclesiastical-Literary Connections. Elena Belyakova: About the Significance of the Establishment of Autocephaly of the Serbian Church for Other Slavic Churches. Metropolitan Porfirije Perić: Pastoral and Missionary Work of Saint Sava. Archimandrite Tihon Rakićević: Regulations for the Internal and External Monastic Life by Abbot Sava of Studenica. Dražen Perić: Equivalence of the Theology of Saint Sava with the Apostolic and Patristic Tradition. Dragiša Bojović: The Reception of Patristic Thought in the Works of Saint Sava and his Disciples. Gordana Jovanović: Saint Sava and His Share in the Norming of the Liturgical Language of the Serbian Church. 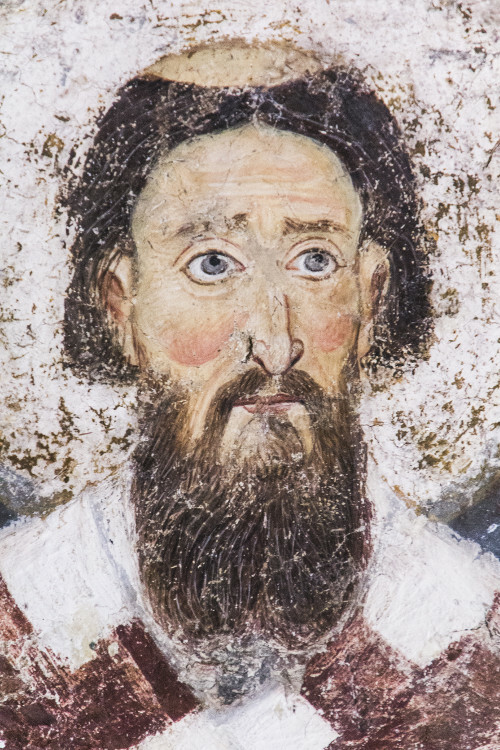 Sava Milin: The Word of Saint Sava on the True Faith. Vladan Tatalović: Wedding in Cana of Galilee (Jn 2, 1-12) in Serbian Medieval Fresco Painting. Dragan Radić: Reception of the New Testament in the Works of St. Sava. Vladimir Vukašinović: History of Serbian Worship: 13th – 21st century. 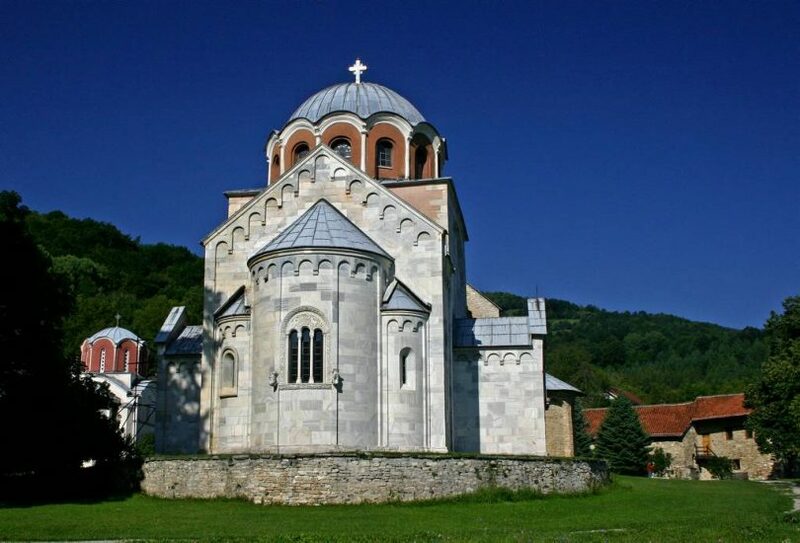 Srboljub Ubiparipović: Saint Sava’s “Zakonopravilo” (Nomocanon) as a Source of Worshiping Life in the Archbishopric of All Serbian and Maritime Lands in the 13th century. Tatjana Subotin-Golubović: Tipology and Hymn Repertoires in Serbian Liturgical Hymnals of the Thirteenth Century. Maja Anđelković: Intertextual Connections Between Sava’s Hagiography of St. Simeon and I and II Chilandar Charter. Vladimir Antić: Continuity and Change of Paradigm in Contemporary Serbian Chanting. Ana Rašković: Serbian Manuscript Legacy and Russian Church Chanting Culture: The Creation of a New Synthesis. Anatolij Arkadjevič Turilov, Snežana Jelesijević: New Facts About Saint Archbishop Arsenius of Serbia. Jerzy Ostapczuk: Early Printed Editions of Cyrillic Fourfold Gospel Book of the Serbian Redaction – the Preliminary Textual Description. Vladan Trijić: The Vienna Transcript of Theodosius’ Joint Canon to Saint Simeon and Saint Sava. Svetlana Tomin: Budjanovac Gospel – on the Track of a Manuscript From 1548. Milanka Ubiparip: Serbian-Slavonic Octoechos and the Poetry of St. Clement of Ohrid. Miroslav Lazić: Incunabula and the Paleotypes: Serb-Slavonic Liturgical and Church Books From the End of the XV to the Mid XVII Century. Malmenval Simon: Passion-Bearers in Medieval Slavic Hagiography: Boris and Gleb of Rus′ and Jovan Vladimir of Dioclea (Duklja).